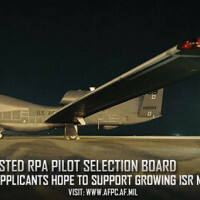 The second annual enlisted remotely piloted aircraft pilot selection board meets at the Air Force’s Personnel Center the week of Jan. 15 to identify the next enlisted group to attend RPA pilot training as part of the deliberate approach to enhance the Air Force’s Intelligence, Surveillance and Reconnaissance mission. 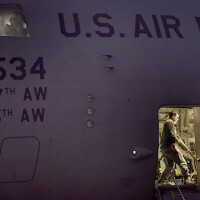 The Line of the Air Force Colonel Continuation Board will begin in January, allowing eligible members to voluntarily serve an additional three years past the active-duty retirement time of 30 years. The continuation board will assess the records of the 50 Line of the Air Force colonels who meet the mandatory retirement dates between Feb…. 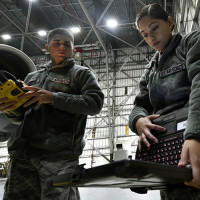 On this look around the Air Force Nellis AFB hosts a Joint Forcible Entry exercise, Operation Ham Grenade provides ham and other goods for service members, and North American Aerospace Defense Command tracks Santa. The 437th Airlift Wing at Joint Base Charleston, S.C., launched 17 C-17 Globemaster IIIs in support of the largest U.S. Air Force Weapons School Integration Phase Joint Forcible Entry event in its history, Dec. 9, 2017.